This registration is open only to current members of the Houston ACFE Chapter. To register under this reduced rate you will be need to provide evidence of your eligibility. For more information on qualifying please see the Terms and Conditions located under Events. Please contact events@houstonacfe.org for more information. This registration is open to anyone. 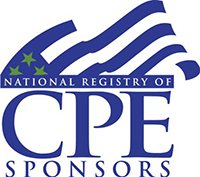 You do not need to be a member of the local ACFE Chapter to register. For conference details and to access the 2018 Annual Fraud Conference website, www.houstonfraudconference.com. The Houston ACFE Chapter is hosting its Annual Fraud Conference offering a 2-day, 16-hour CPE training event stacked with dynamic, entertaining presentations. The lineup of speakers includes some new faces and familiar crowd pleasers. Make sure to register soon and take advantage of the early-bird pricing ending June 15th! Register a group of 5 or more and receive a 10% discount on the regular conference price! For group registrations, please email a list of individual names and email addresses to fraudconference@houstonacfe.org. Gregory Coleman - "Wolf of Wall Street Case"
Mason Wilder - "Finding People and Assets on Social Media"
Jerry Balistreri - "Learning How to Read Body Language"
Dan Ramey - "Cyber Security/Cyber Fraud"
Jeff Filliter - "The Shallowest of Men: Murder, Money Laundering and the Global Search for Justice"
Sam Antar - "Crazy Eddie Fraud Case"
Eric Shirk - "Dark Web/Cyber Security"
Steve Morang - "Volkswagon Fraud Case"
Jesse Daves and Kirstie Tiernan = "Leveraging Technology in Fraud Investigation and Data Analytics"
Phil Innes and Shaun Whiteley - "Detecting Fraud & and the External Auditor's Role"
Andrew Fastow - "Enron Fraud Case"
If you have registered and/or paid for an event and you need to cancel, you MUST email fraudconference@houstonacfe.org no later than 10 days prior to the event to request a refund and/or cancel your registration. Cancellations within 10 days of the event will not be eligible for a refund, but substitutions will be accepted. For more information regarding refund, complaint and/or program cancellation policies, please visit the Terms & Conditions section of the website, or email us at fraudconference@houstonacfe.org.